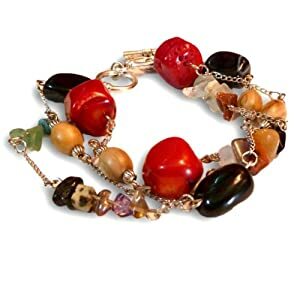 You can find massive amounts of beautiful bracelets online for affordable prices. The only problem with purchasing fun bangles from your favorite online retailer is that you never know if the bracelet you choose will fit correctly. When you visit a brick and motor store you have the luxury of slipping the beautiful accessory over you hand and admiring the perfect fit before heading to the register. When you follow the below steps, you can have the same exhilarating experience when you open your freshly delivered box and pull out your new bracelet. There are a variety of bracelet types. Some types require you to slide a bracelet over your hand, whereas other bracelets have clasps and extensions. 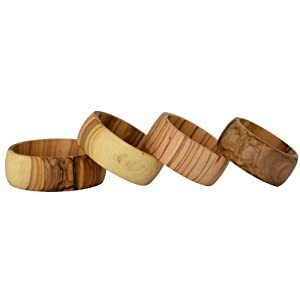 As you shop online make note of the material the bracelet is made from. This will help you to determine what size will fit best. To ensure a good fit for your bangle bracelet, you will need to measure the width of your wrist from wrist bone to wrist bone. This will help you determine the diameter of your wrist which is the measurement that most online retailers will use for sizing. You do not want your bracelet to look like a rubber band on your wrist, so be sure to account for comfort and movement of the bracelet. Also, remember that bangles will need room to move over your wrist at the widest part of your hand. If your bracelet is a bangle, then measure the widest part of your hand by folding your thumb into your hand as you would when putting on a bracelet. Take note of this as well. After gathering your measurements, you can look at the sizes offered. 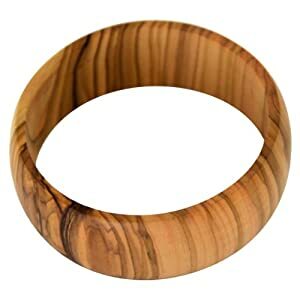 Following the example above, the small Olive Wood Bangle would be the perfect fit. 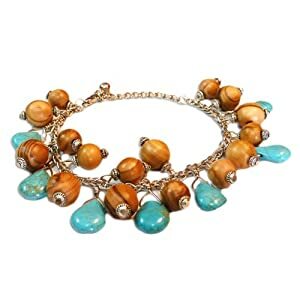 Following the same logic, the Olive Wood Beaded Bracelet with Brown Beads would be too slightly too large for this person as it is almost a 7cm diameter, the Cluster Bracelet would be a good fit because it has the extension clasp on it, and Triple Strand Bracelet would be a good fit because it is close to a 6 cm diameter. Special Note: If the bracelet you select is not measured by diameter, but is instead measured by circumference or length of the bracelet, don't fret, you can use the same wrist measurement to determine the correct size. Simply, take the measurement of your wrist and multiply it by 3.14. The result is the length of bracelet that will work best for you.